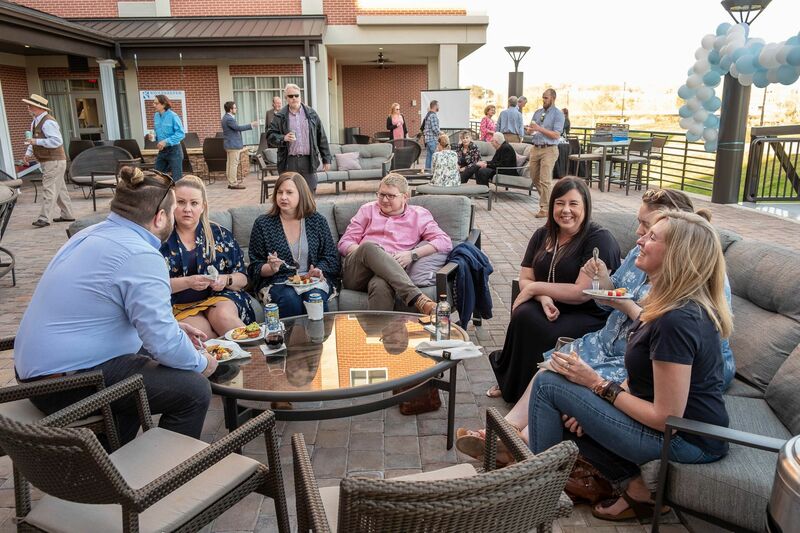 On March 28th, CRBI hosted their Riverkeeper Awards and Annual Meeting at the Courtyard Rome Riverwalk to celebrate the accomplishments of 2018 – their 25th Anniversary year. 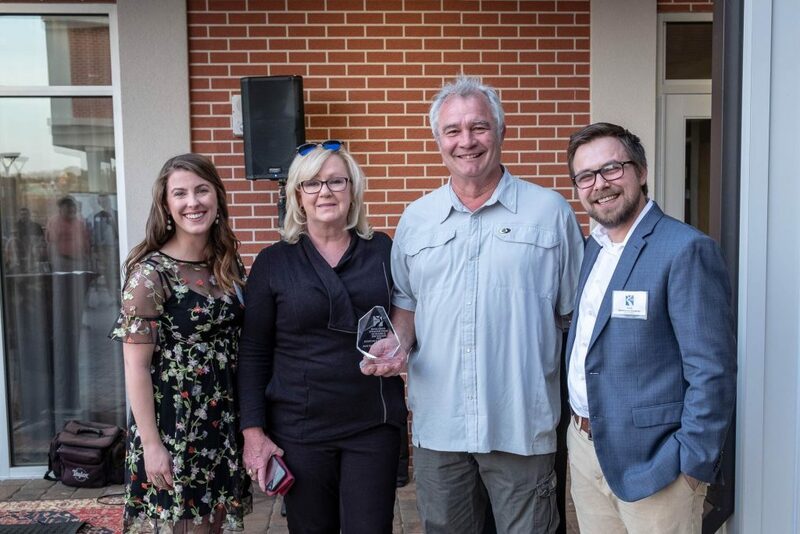 The Riverkeeper Awards also gave CRBI the opportunity to recognize exceptional community partners for their work in support of the organization’s mission to preserve, protect, and restore our rivers. This year, CRBI recognized four award winners. 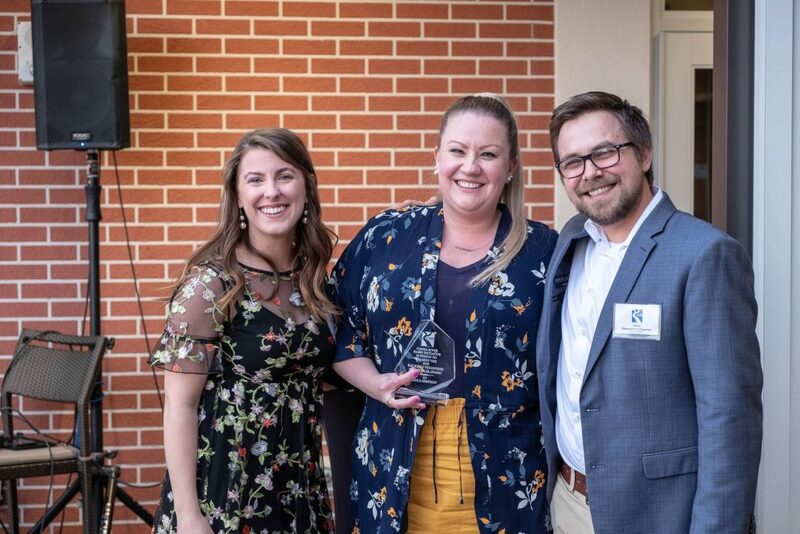 Erica Simpson, our Catfishin’ Queen, won the Ray Kelley Volunteer of the Year Award for all of her efforts in single-handedly raising $2,000 for the annual Catfish Kissin’ Contest and Fish Fry Fundraiser. Without the help of dedicated volunteers like Erica, we wouldn’t be able to keep up the good work; protecting, preserving and restoring. To all of our volunteers, thank you! Mike Ford’s Auto Services received the Cedar Creek RV & Outdoor Center Business Partner of the Year Award for his generous donation of a convenient location to store the CRBI van, patrol boat, canoes, and kayaks, allowing CRBI a lot of peace of mind that makes paddle-trip logistics much easier. Mike Ford has been a long time supporter of the organization’s events by helping to promote and sell tickets. 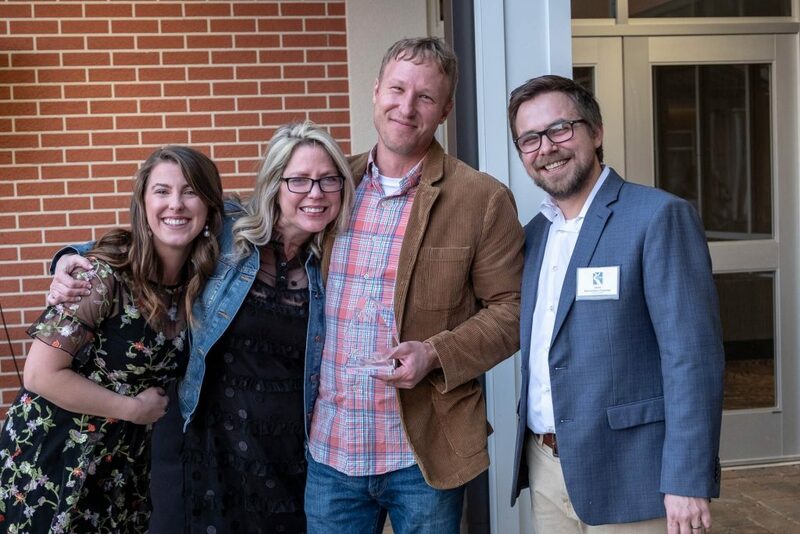 Brian Campbell, a full-time professor of Environment Studies at Berry College, was recognized as Educational Partner of the Year for all of his work on his documentary, To Kingdom Come. The film tells the story of the complicated relationship between Rome, GA and General Electric. The community-focused labor of love included former plant employees; Berry College faculty, students, and alumni; Georgia Highlands faculty; local activists and health experts; and an incredible line-up of local artists who collaborated on the folk & bluegrass soundtrack. Cartersville, GA, the preserve provides educational opportunities paired with some good old-fashioned outdoor recreation. We appreciate all of their work in helping to raise the next generation of environmental stewards. Jesse Demonbreun-Chapman (left), Doc Kibler (right), and Nina Lovel (middle). CRBI took a moment to look back on their year in review while taking time to recognize past board members as well new members who joined the organization in 2018. 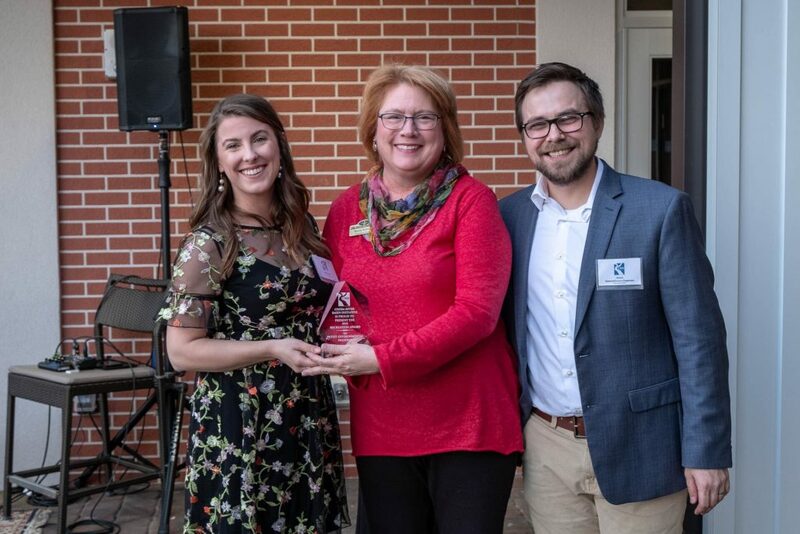 Nina Lovel received special recognition for the four terms serving as CRBI’s board president. 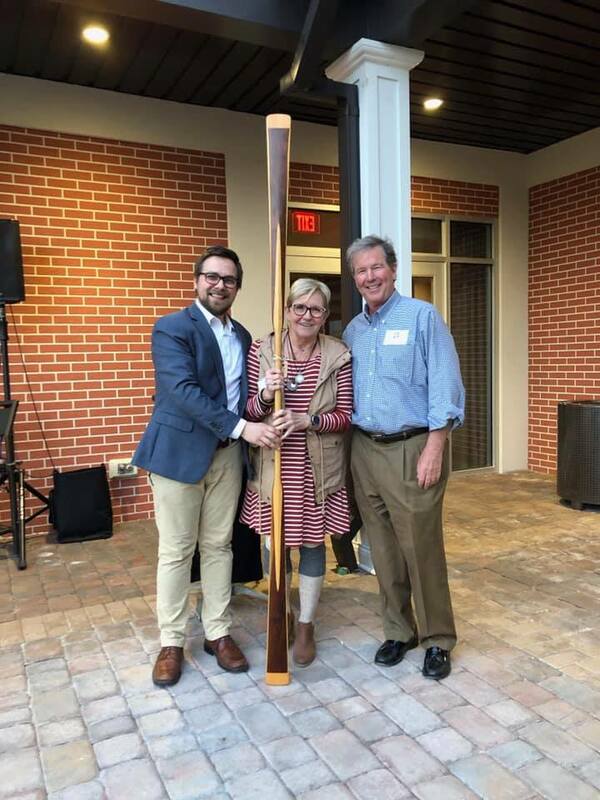 Lovel was presented with a hand carved, Greenland-style paddle to commemorate her years of service.